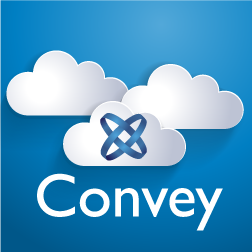 Convey creates industry-specific portal networks to connect vendors to revenue producers in indirect distribution channels providing online access to vital information and training needed to sell product and drive revenue. Distributors, Master Agencies or Dealers have a customized Convey portal divided into online catalogs that their vendors populate and manage from a centralized administrative hub. Revenue producers access the platform to find product information, training, promotions, and events in a single, convenient online location. Visit the Channel Networks Content Catalog. Channel organizations do not have the time or staff to deliver vendor information to revenue producers. This causes vendors to waste time and money trying to engage revenue producers and causes revenue producers to waste time hunting for information on multiple websites, inside of vendor portals or in their email inboxes. Why is this a problem worth solving? Sales channels are a vital part of a vendor’s ability to reach the market and generate revenue. Vendors can't afford to waste time, overspend, and fly blindly hoping their new product announcement, promotion, or training gets to the people that sell their product. If both vendors and sellers are wasting time hunting for information need to sell products and services, that is time that could be better spent with customers to generate revenue. How does Convey solve the problem? We provide the channel sales organization with a customized online Convey networked portal divided into online catalogs that are populated and managed by vendors. Revenue producers can now go to a single online site to learn about the vendors, the services they sell, how to engage with that vendor and how they can generate revenue and commissions. Vendors can promote themselves, inform revenue producers about their services, inspire calls to action, and form direct relationships with those that sell their products. What markets does Convey focus on? Convey began its focus in helping master telecommunications agents and their vendors and carriers. The insurance market came next with master agency networks in property and casualty insurance. Our newest market is the foodservice industry, focusing on distributors and their suppliers and the operator. Convey's top target markets represent $1.9 trillion in sales. Inefficient vendor to revenue producer communication and engagement affects thousands of vendors, thousands of indirect sales organizations and hundreds of thousands of revenue producers. What makes Convey a preferred solution? Convey manages the entire program for both channel organization and vendors, eliminating the need to buy, build or manage an online system. vendors have control of their online catalogs and the efficiency to manage content in a single location, duplicating their information across many platforms. Revenue producers now have one location to find information from all the suppliers they represent in the market.